Bolcom won the Pulitzer Prize for music in 1988 for 12 New Etudes for Piano, and his setting of William Blake's Songs of Innocence and Songs of Experience on the Naxos label won four Grammy Awards in 2005. 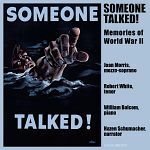 As a pianist Bolcom has performed and recorded his own work frequently in collaboration with his wife and musical partner, mezzo-soprano Joan Morris. Their primary specialties in both concerts and recordings are cabaret songs, show tunes, and American popular songs of the 20th century. They have recorded 25 albums together - Autumn Leaves was released in 2015. 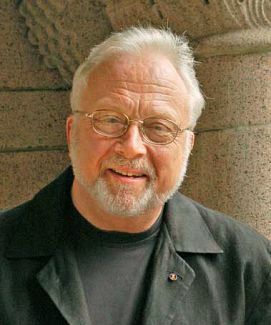 As a composer, Bolcom has written four violin sonatas; nine symphonies; four operas (McTeague, A View from the Bridge, A Wedding, and Dinner at Eight), plus several musical theater operas; eleven string quartets; two film scores (Hester Street and Illuminata); incidental music for stage plays, including Arthur Miller's Broken Glass; fanfares and occasional pieces; and an extensive catalogue of chamber, choral, and vocal works. Dinner at Eight premiered at Minnesota Opera in March 2017 to great acclaim. The University of Michigan School of Music, Theatre and Dance Opera Department will mount four performances of it in November 2017 in Ann Arbor, Michigan. Bolcom's setting of William Blake's Songs of Innocence and of Experience, a full evening's work for soloists, choruses, and orchestra, culminated 25 years of work on the piece. The April 8, 2004, performance in the recently-renovated Hill Auditorium in Ann Arbor, Michigan, was recorded by Naxos. The CD won four Grammy Awards in 2005: Best Choral Performance, Best Classical Contemporary Composition, Best Classical Album, and Producer of the Year, Classical.